Most people think that to do research of high calibre one needs expensive instruments and a well equipped lab. However there are a large number of scientists who did path breaking work with simple instruments which they themselves had deviced (Remember Archimedes and his bathtub). Chandrasekhara Venkata Raman is one such genius born in India and carried out research entirely in India which eventually led to his securing the Nobel prize in 1930, for his work in Physics on scattering of light. He is popularly known as C.V.Raman and in scientific circles just as Raman. His father Chandrasekhar Iyer was a lecturer in Mathematics and Physics, had some influence on young Raman.In 1904 he completed his B.A. with a top rank and the gold medal in physics. Later in 1907, secured M.A. degree with highest distinction. Later he worked in the Indian Finance Department. His deep rooted desire in research was evident from the fact that he carried out after his office hours experimental research in the laboratory of the Indian Association for the Cultivation of Science at Calcutta, in acoustics and optics. Raman was offered the prestigious position of Sir Taraknath Palit Professorship of Physics at Calcutta University in 1917, where he worked for fifteen years. During this time , he received worldwide recognition for his work in optics and scattering of light. In 1924 he was elected to the Royal Society and became knight of the British Empire in 1929 followed by the Nobel prize in 1930. 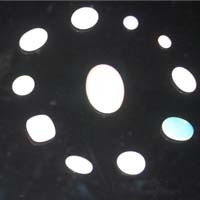 The discovery was later named as "Raman Effect". The applications of Raman effect became widespread and of considerable importance in structural studies, though sadly not in his life time. 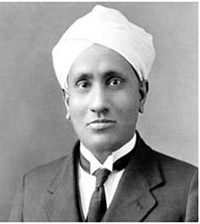 In 1934, C.V. Raman became the director of the newly established Indian Institute of Sciences in Bangalore, and was also the professor of physics. Other investigations carried out by Raman were his experimental and theoretical studies on the diffraction of light by acoustic waves of ultrasonic and hypersonic frequencies (published 1934-1942), and those on the effects produced by X-rays on infrared vibrations in crystals exposed to ordinary light. In recognition of his abilities the government granted land and funds which were used in setting up "The Raman Institute" in Bangalore, which is one of the premier Scinece institutes in Bangalore. 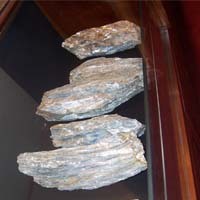 During his career he colleted a vast number of precious stones minerals and musical instruments useful to him in his research. Today they are all displayed in an exhibition in the Raman Institute. It is defnetly worth a visit to this fascinating place. Sudents can organise a visit through their institution, the authorities at Raman instititute are extremely helpful and will surely permit the visit. Raman was also interested in experimental and theoretical studies on the diffraction of light by acoustic waves of ultrasonic and hypersonic frequencies (published 1934-1942), and those on the effects produced by X-rays on infrared vibrations in crystals exposed to ordinary light. He persued his interests with great zeal during his tenure in the Indian Institute of Science and later in Raman Research Institute, Bangalore. What is Raman effect?